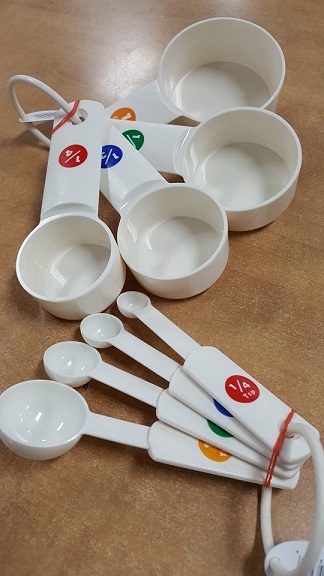 MEASURE CUP AND MEASURE SPOON SET, WHITE PLASTIC, 4 PIECES. 🍰🍶🎂 #MCPP4 - MEASURE CUP SET. #MSPP4- MEASURE SPOON SET.